The book is an imaginative instruction manual on how to build and sustain a profitable business based on Communities of Interest (CoI). 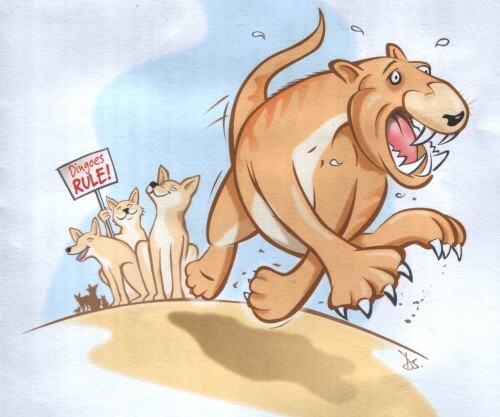 It starts with the enlightening and relevant story of how the dingo became the top predator in Australia, displacing the marsupial lion which became extinct. Using this biological analogy, the author describes the new business landscape in the world of globalisation and digital communications. The book demonstrates some of the business opportunities presented by this new landscape and describes one class of business that can succeed. The book's target readership is business people who are seeking a change in direction and have an interest in starting their own company. They would be people in Middle or Senior management who have become disenchanted with the corporate carreer ladder and are looking for something different. The book has been written in an 'easy' conversational style and is designed to inform and entertain, but above all, to encourage its readers to take the next step.